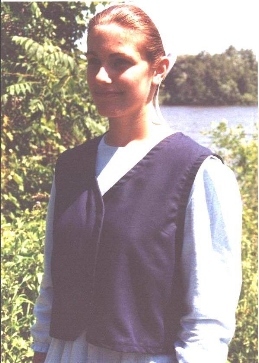 This pull-over vest has side openings...very convenient for the nursing mother as the front of the vest serves as a canopy to keep you modestly covered and comfortable! Fully lined design. Includes Ladies Small-XXL.